The Mom and Baby Unit staff and physicians gathered together to celebrate the units re-opening! 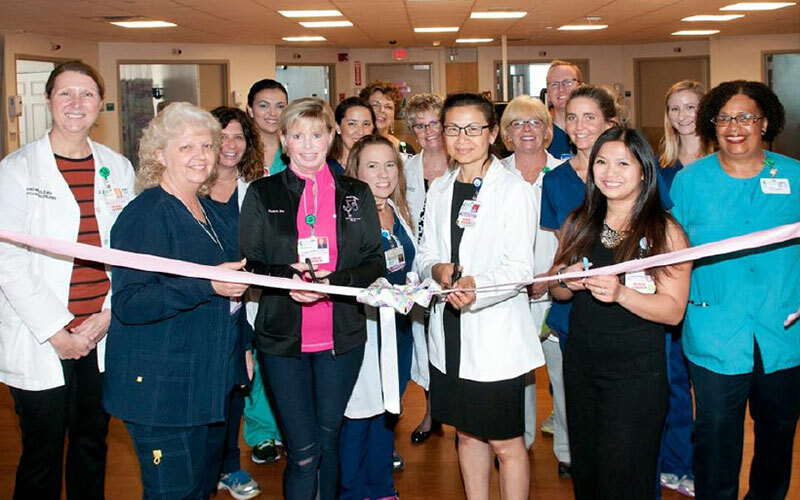 After undergoing a remodel over the past few weeks, patients and visitors will now see a new entrance, new flooring, new paint, re-tiled restrooms and an updated nursing station. Each room includes accommodations for dad.